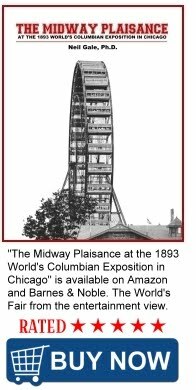 The Digital Research Library of Illinois History Journal™: Central Park Gardens Amusement Park, Rockford, Illinois. (1921-1942) - aka: Auburn Kiddieland, Rockford, Illinois. Central Park Gardens Amusement Park, Rockford, Illinois. (1921-1942) - aka: Auburn Kiddieland, Rockford, Illinois. Central Park Gardens Amusement Park was located at 3500 Auburn Street, Rockford, Illinois. Owned by Charles O. Breining the park opened in 1921 and quickly became a popular spot that offered amusement rides, dancing, roller skating, games, novelty and food concession stands, concerts and a giant wooden roller coaster among it's many other attractions. The name was later shortened to Central Park. The wooden roller coaster at Central Park Gardens was designed by John A. Miller and built by Harry C. Baker in 1921. The Giant Coaster was named the "Jack Rabbit" and the changed to the "Thriller". Some of Rockford's Harlem Park's most popular rides were moved here in 1928 when Harlem Park in Rockford was shuttered and demolished. Central Park would remain in operation until 1942 when it was sold for more profitable commercial use.